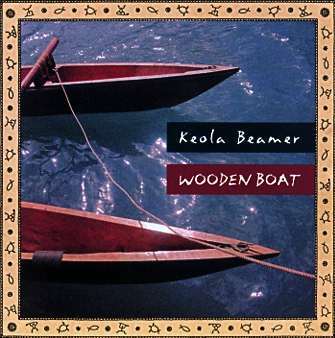 After twenty-two years of recording and many hit albums, Keola Beamer returned to the studio in 1994 to produce the critically acclaimed Wooden Boat, an album of original and traditional songs that skillfully navigate the deep waters of both slack key and world music trends. 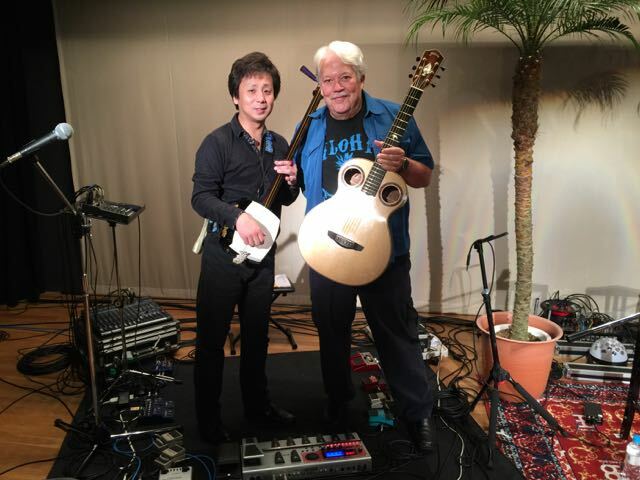 Keola continues his slack key journey with Moe'uhane Kika, a collection of instrumental takes from ka moe'uhane kika, the dream guitar. 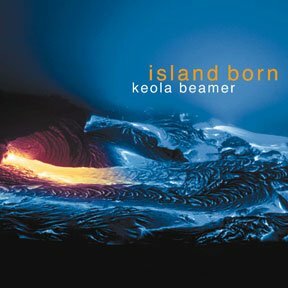 "The concept for this recording," Keola says, "comes for the way my guitar intonates. In the last year or so I've been concentrating on the solo aspects of my performance and some interesting things became apparent to me. One of the first things I noticed is that in some of these tunings, the vibrating of sympathetic strings creates a beautiful overtone series. The overtone series, of course, has been around since time immemorial but acutally embracing it, working with it, and within it is something I tried to focus on in this recording. It is probably most apparent when I use the low C Wahine tuning. If you listen very carefully, you can hear a high specral or ghostlike presence. The mysticism and spectral shadowing inherent in this halo, or veil, reminds me of what one may experience in a dream. That's how the idea for this recording came into being." 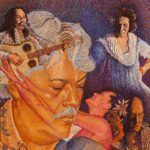 Guitar Player Magazine - February, 1996 by Chris Gill One of the leading lights of contemporary Hawaiian solo slack key guitar, Keola Beamer acknowledges the music's traditions while adding his own innovations and interpretations, continuing the legacy of the late Gabby Pahinui. 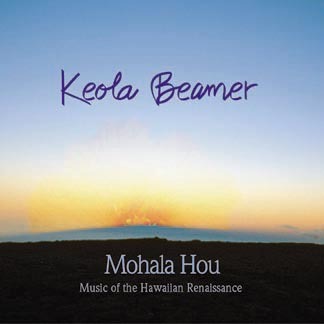 Beamer's classical inspired arrangements played on nylon-and steel-string acoustics and occasionally accompanied by subtle electric guitars, give the music a modern feel without loosing the inherently Hawaiian attributes that make slack key so distinctive and appealing. His passionate, spritual performance surrounds listeners with beauty, taking them on a journey to a place where the pace is relaxed and carefree. If you've never experienced slack key before, or you're a fan of classical, Celtic, or new age guitar, this album is a must. Billboard Magazine- September 23, 1995 Far from the stereotyped ukulele and pedal steel sounds that pass for Hawaiian folklore, the Aloha State's "slack-key" masters specialize in a brand of open, enchanting, mostly instrumental guitar music that carries within it a deep sense of soul and tradition. On his latest opus, Keola Beamer - one of the genre's formost practitioners - finds the meeting point between his Hawaiian heritage and modern influences. 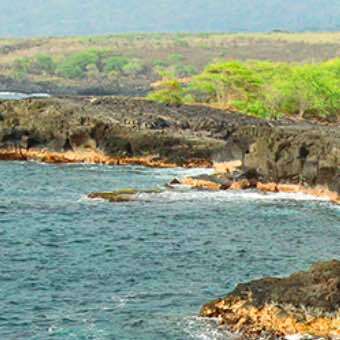 Produced by new age pioneer George Winston, the album should hit home among devotees of world music, new age and Hawaiian folk. ...The annotation includes a concise account of the history and basic techniques. Song by song annotation explains the significance of the selections and the technical aspects of Beamer's approach to each one; the notes include information on the five tunings he uses. Anyone who buys this disk simply for the music wont be disappointed either. The performances are exquisite; each arrangement is beautifully crafted. Recorded, engineered and mixed by Howard Johnston. Additional engineering by Ron Rigler, Dave Russell, Adam Munoz, and Nancy Scharlau. Mastered by Bernie Grundman at Bernie Grundman Mastering in Los Angeles, CA.Cover design by Nelson Makua Design. Cover photography by David Cornwell. Interior photography by Moana Beamer. Booklet interior design by Su Gatch, with editing and research assistance by Nona Beamer, Heather Gray, and Leimomi Kuo. 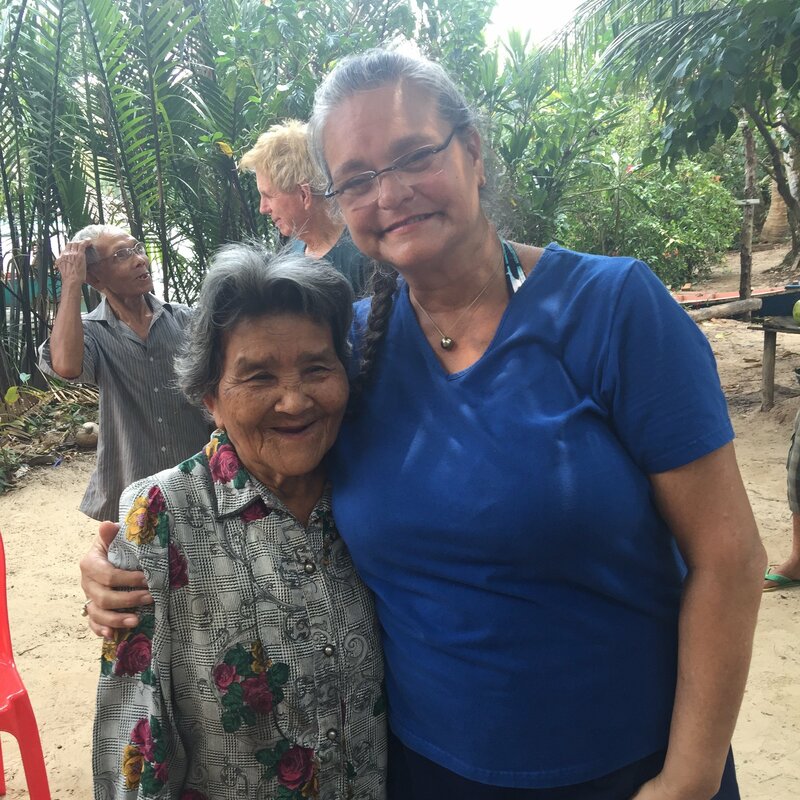 Mahalo nui loa: Nona Beamer, Moana Beamer, Keola Donaghy, Bill Flad, Marina Wallace, Happy & Jane Traum of Homespun Tapes, Dennis Ladd, Hella Kihm, Dirk Vogel, Keith Haugen, Chris Orrall, Mika'ele McClellan, Tim Holtwick, AlanYoshioka, Yuki Yamauchi, Amos Daniels and Dave Russell at Lahaina Sound, Milan Bertosa and Tony Hugar at Audio Resource, Susan Skaggs, BMG Music, Surfside Distributors, Inc., and Windham Hill Records.